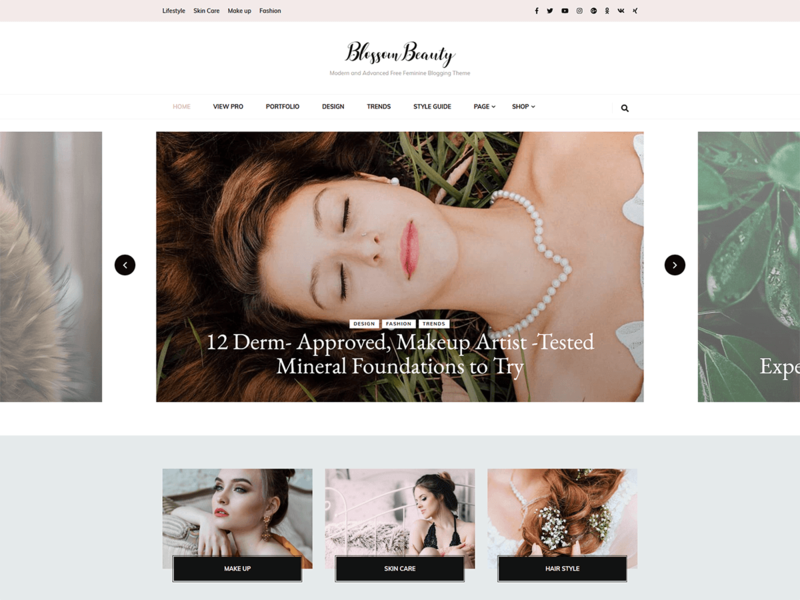 Blossom Beauty is a child theme of Blossom Feminine free WordPress theme. This theme helps you create a visually appealing, lively and attractive blog without writing a single line of code. This theme can be the best choice if you want to share your expert fashion tips, your favorite recipes or create travel, beauty, food, coaching, make-up, portfolio, wedding, personal, girly or cooking blog. This theme comes with advanced customization option and features a built-in customizer to help you customize your website with live preview as per your desire. Blossom Beauty is a mobile friendly and fully responsive theme that ensures your website displays properly on any screen sizes. This theme also helps you increase your Instagram followers with the beautifully placed Instagram section. Also, the strategically placed newsletter section helps you grow your email list and communicate with your visitors. The advertisement widget of the theme helps you monetize your blog and earn revenue from it. Blossom Beauty is speed optimized and SEO friendly theme which helps your website rank higher in the search engine results. The theme is translation ready and supports RTL scripts. You can also create an online shop with this theme as it is fully compatible with the popular WooCommerce plugin. Blossom Beauty is backed by world-class, one-on-one support, and a super active team of developers and designers.Check demo: https://demo.blossomthemes.com/blossom-beauty, read documentation: https://blossomthemes.com/blossom-beauty-free-theme-documentation/, and get support: https://blossomthemes.com/support-ticket/.